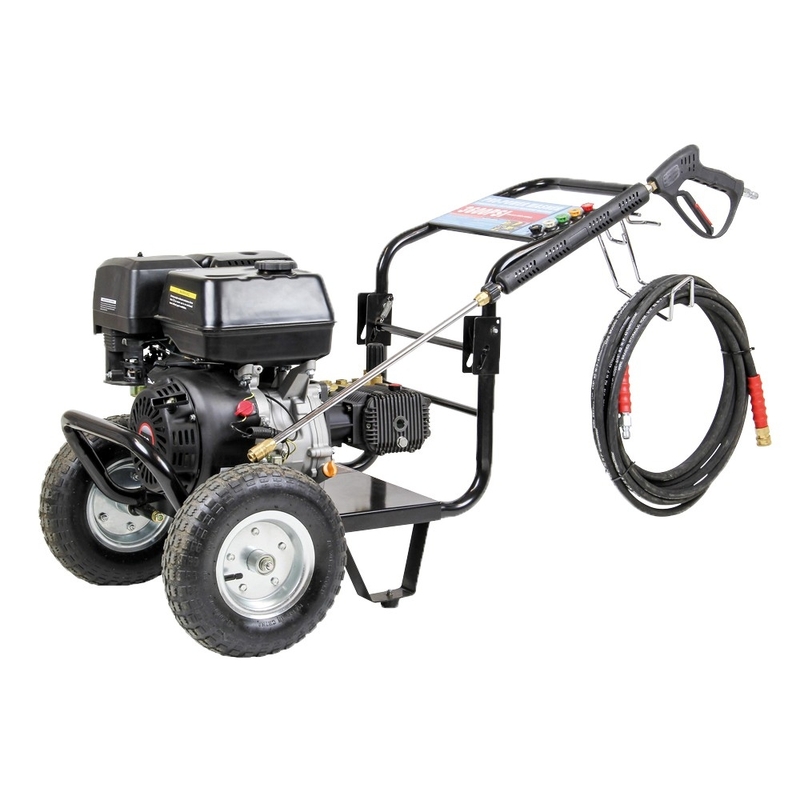 Ideal for use in farming and contracting applications, the 08930 pressure washer has been designed with a powerful 13hp petrol engine. Designed with a brass head pump ensuring this machine is finished with the highest quality to ensure you receive a machine you are guaranteed to be happy with. The frame is foldable to enable easy storage, whilst the large pneumatic wheels which have been added to help transport from task to task with ease regardless of the condition of the ground. With a frame mounted nozzle storage so all parts required are within easy reach. Comes with 9 metre of hose and a heavy duty lance. 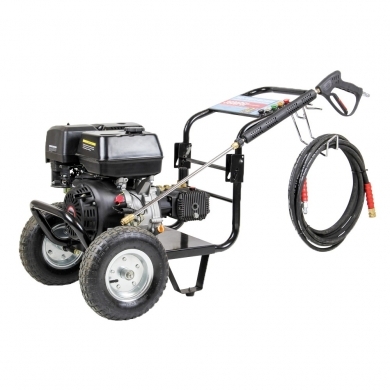 Offering 1020 ltr/hr water flow rate from 248bar output pressure, this pressure washer has a 252,960 CP (cleaning power).